Change is continual; a constant. Successful firms know they must build change into their DNA; embedded as an organisational competence through creative teams. It's communicators who help recalibrate change management roles, moving from planning and managing to helping their companies’ leaders build change capabilities. Their skill in effective two-way communications becomes the glue binding a network of connections for sharing learning. Today’s volatile, uncertain, complex and ambiguous working environment means firms should build change as an organisational capability in order to deftly navigate these choppy waters rather than tackle initiatives one-by-one. It seems at odds, then, that much of today’s change management methodology is based on a model dating back to the 1940s. Kurt Lewin, the German-American psychologist, put forward his three-phase change theory in 1947 . Both John Kotter’s eight-stage process and Jeff Hiatt’s Prosci ADKAR model can be mapped against Lewin’s linear approach of unfreezing, changing and freezing. Trouble is: our world isn’t linear. Our world is dynamic, complex, globally focussed and we are all socially networked within it. 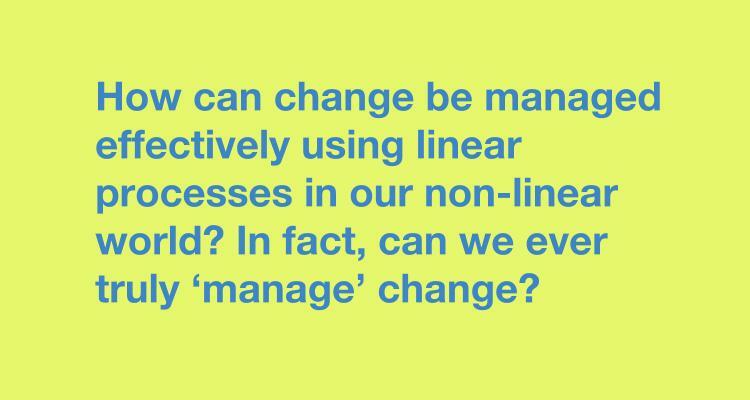 So how can change be managed effectively using linear processes in our non-linear world? In fact, can we ever truly ‘manage’ change? In business terms the late 1940s were a more stable, simpler, local market-focused time. An era which controlled efficiencies of scale through layers of bureaucracy. In today’s world environment, change needs to become embedded and routinised throughout all firms. In business terms the 1940s were a more stable, simpler, local market-focused time. An era which controlled efficiencies of scale through layers of bureaucracy. In today’s work environment change needs to become embedded and routinised throughout all firms. These change models work well as long as the change they set out to manage is episodic and infrequent. However, change in today’s world isn’t episodic. For many firms change is now a continuous process. 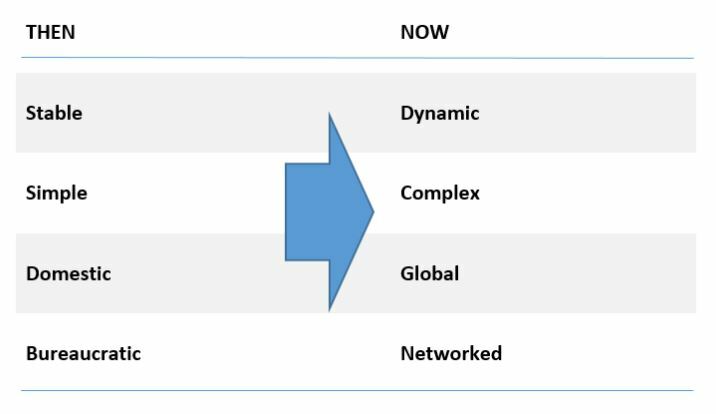 Challenging existing principles in change management to form new ways of thinking which fit today’s volatile, uncertain, complex and ambiguous world. We prepare people for the change initiative. We build support for that specific change event. We make the change happen. We think about change in terms of timelines. When will it start? When will the change initiative be over? The simple truth is: change is now continual. It’ll never be over. For this reason change must become part of a firm’s DNA; embedded as an organisational competence. within creative teams. Change is the new business as usual. 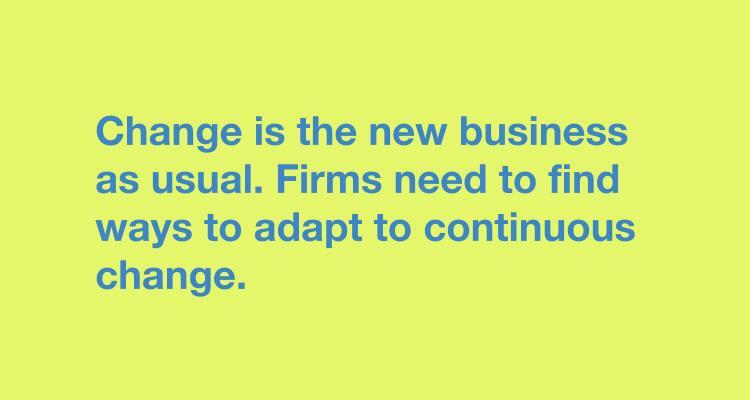 Firms need to find ways to adapt to continuous change. Accelerating change demands active leadership, but also organisation-wide learning and empowerment. It’s certainly true that complex change requires strong, inspirational executive leadership, but change success is the responsibility of everyone within the organisation. We are, all of us, hyper-connected. We use social media inside and outside the firm throughout our daily lives. We’re connected with colleagues, with customers, with suppliers. Even with competitors. Problems arise when we aren’t empowered to react when we spot something that could be improved. Leaders need to trust and empower their workers to be able to continually adapt to opportunities and threats and alter the way they organise, operate and communicate to build competitive advantage. 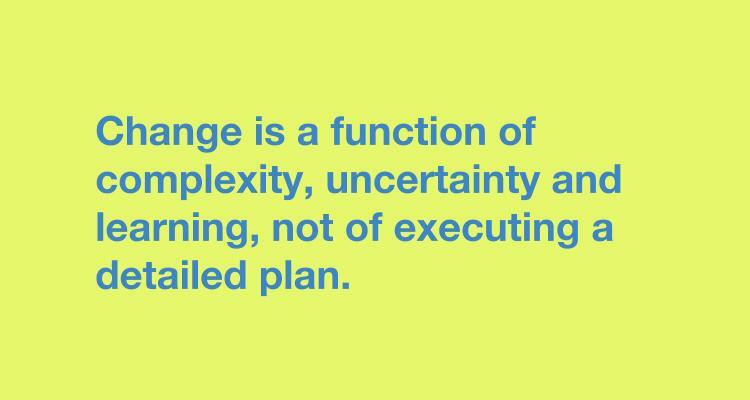 Change is a function of complexity, uncertainty and learning, not of executing a detailed plan. Through this lens change moves from slavishly adhering to processes; assiduously using a change methodology’s tools. Instead, change moves towards tailoring efforts of individuals and the way they interact within networks. Today’s managers are constantly flitting between two time zones. They need to maximise results today and prepare the business so as to maximise results tomorrow. 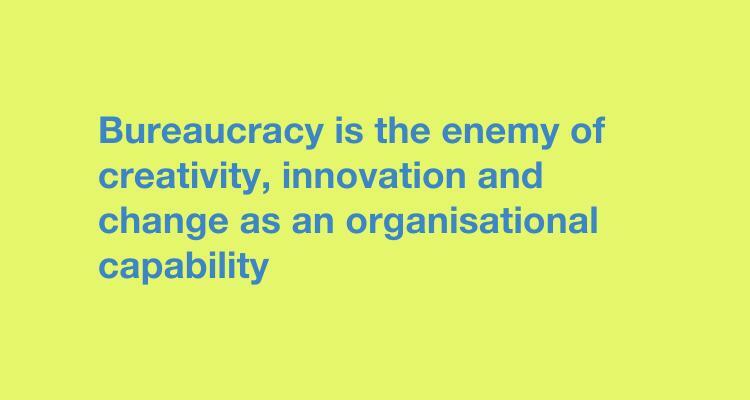 Change needs to help make this happen through routines that keep the organisation focused on results. 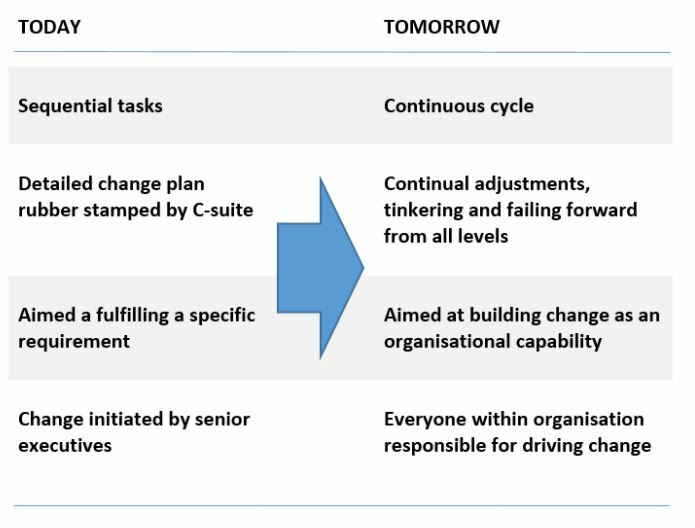 Change routines become core elements of how an organisation operates. The mirage of certainty that comes from viewing change as an event should give way to testing, learning and continual adaptation. The future of change lies in being on the lookout for change and being sufficiently nimble to respond at the first signs of needing to change, rather than doggedly following a plan. It’s about having heightened awareness of different perspectives held by different stakeholders. Organisational change can no longer be thought of as a linear process. One change initiative following another sequential change. It’s a continual process. There’s no beginning; no end. 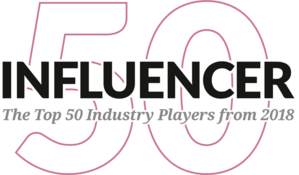 How does our firm fit within our industry?Who are our customers? What do customers want today? Are we offering customers what they really want? Are these the same competitors today as they were yesterday? Will the competition look the same? Are competitors likely to come in the ‘side door’ offering substitution services rather than head-on alternatives to our services? Firms need to be continually challenging themselves asking: why do we do things this way? Then designing, tailoring, assessing and tinkering with the cycle of change so that they can achieve their corporate objectives. Change is an interacting flow of routines and cycles. When change is a project or event, it is natural to ask “when will it be over?” In the new normal, fundamental change never ends, and it is better viewed as something to be continually nudged in the right direction. The shift in thinking about change from project-based requires firms to build change into their corporate DNA as a core capability. The old way to ‘deal’ with change was to rent expertise from change management consultants. But it’s know-how that enables companies to achieve their corporate goals. And, when strategy evolves or takes a sharp turn, new know-how is often needed. Building organisational capabilities comes from a combination of different resources – people rather than things; including employees’ skills. Capability effectiveness relies on how well they are bound together. Often this success falls on the shoulders of the internal communicators and in the public relations function. It’s here via two-way symmetrical communication that an organisation’s culture, processes and motivation through empowerment are aligned. Ultimately, building capabilities is about harnessing the knowledge which exists within the organisation: building, retaining, assessing, transferring and integrating this knowledge into creative teams. 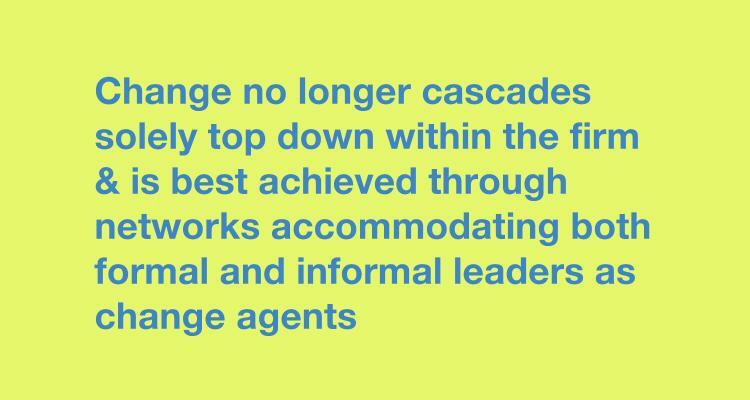 Change no longer cascades solely top down within the firm. Front-line employees are often the ones who have the most knowledge stored in their heads about what needs to change. Change is therefore best implemented through networks accommodating both formal and informal leaders as change agents who form loose-knit communities supporting learning throughout the firm. By making change leadership part of everyone’s job, the organisation can change and learn quickly enough to adapt. It’s the internal communicators who help recalibrate change management roles, moving from planning and managing to helping their companies’ leaders build change capabilities. Their skill in effective two-way communications becomes the glue binding together a network of connections for sharing and learning. Within this entrepreneurial spirit people throughout the organisation are asked to figure out how to make their units work better; not as a special improvement activity, but as an embedded aspect of their work system. Here the change activity becomes enmeshed firm-wide. It’s not an HR function; it’s everyone’s responsibility. This demands a shift in mindset; one fostering an entrepreneurial spirit. And as the firm learns, building up this adaptive and innovative capability, so it continues to move forward over time through a stream of activity. But foregoing bureaucracy isn’t an open invitation to embrace nihilism. Firms still need formal procedures and routines to use creative potential existing within their walls. Freedom without structure is anarchy. Structure without freedom is imprisonment; within it creativity is unlikely to blossom. Firms must therefore find a trade-off; a balance which embraces creative thinking and attains business goals. hook up those looking for relevant knowledge with those people who already possess that knowledge. It’s a move from knowledge hoarding to knowledge pumping. These are people who build on existing ideas to make them better; making them more pertinent to the situation. A move from ‘yes but’ to ‘yes and’. 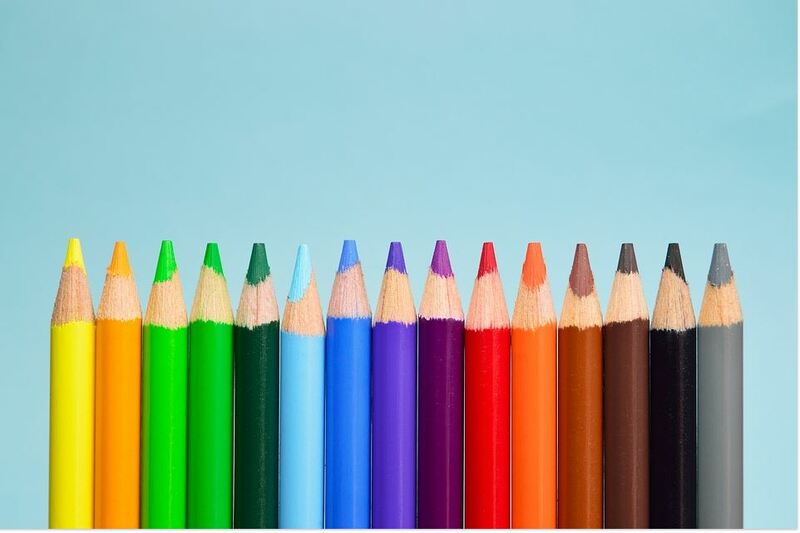 Creative learning organisations with a fast-acting, empowered workforce of multi-disciplinary teams rely less on procedure and more on awareness of different perspectives held by different stakeholders. This calls for a shift in attitude. One which perceives every situation as an opportunity. Asking: what can I learn from this? – and who else in the firm would benefit from this learning? – rather than listing shortcomings and blaming others. One reason firms often fail to learn is that they’re caught up in recurring defensive routines preventing a climate of openness. We tend to avoid confrontation and airing negative views. We skirt around sensitive issues for fear of alienating colleagues or creating political enemies from peers and hierarchical superiors. We often get defensive when things go wrong and become reluctant to examine our own feelings objectively. And so, by doing these things, we shut off opportunities to learn. It’s easier to blame others and to get into the habit of avoiding awkward personal confrontations than to reflect on our own experiences and to learn from them. Building a change capability through creative management and organisational learning calls for a climate of trust. This is where mistakes are forgiven, perhaps even celebrated. Firms need to inject more curiosity, forgiveness and love into their routines. If they can manage this it will lead to more innovation and creativity because when people feel safe, they are more forthcoming and prepared to explore new territory. Albert Einstein said: “A person who never made a mistake never tried anything new”. In science there’s no such thing as failure or success, merely disproved hypothesis. So, in order to fail you need to do something: collect information, test information, turn that information into knowledge. If you’re not doing that you’re not failing, you’re doing worse than failing. You’re doing nothing. 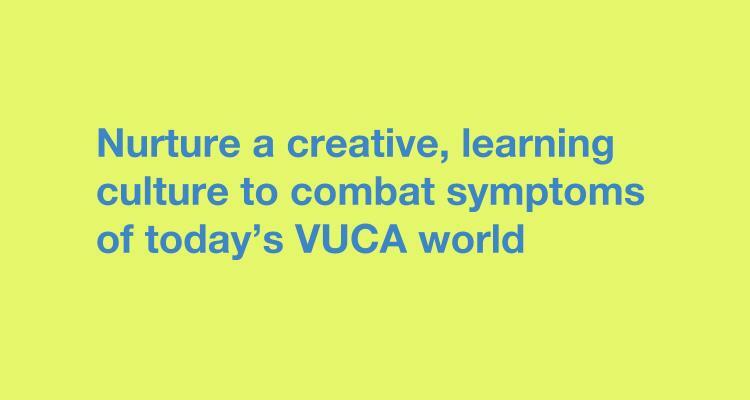 Coping with today’s VUCA world means operating within a climate of trust to try out new approaches. It means not being afraid to make mistakes and learning what works through some trial and error. It means implementing what works and then sharing the learnings. It’s this learning-by-doing that ‘routinises’ change throughout the firm. At the root of building a capability of change through creative management and organisational learning is a deep-seated belief in shifting from knowing HOW things are done to WHY they occur. This is a more fundamental understanding. It moves from practical knowledge rooted in ‘the way we do things around here’ to challenging the status quo: ‘Why do we do it that way?’ It accommodates exceptions, adaptations and unforeseen events. 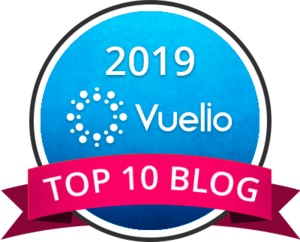 This means we have to give our workforce problem solving skills and open up the boundaries internally between departments, functions and hierarchical levels – and externally with suppliers. Sharing information, reflecting on that information and nurturing an atmosphere which supports not competes. Firms have to develop the ability to ‘learn how to learn’ and how to challenge the assumptions underpinning their work system, creating a form of learning which goes beyond learning a skill, or how to correct an error, or even how to refine some process or other. Traditional change management involves knowing how to implement a particular process. 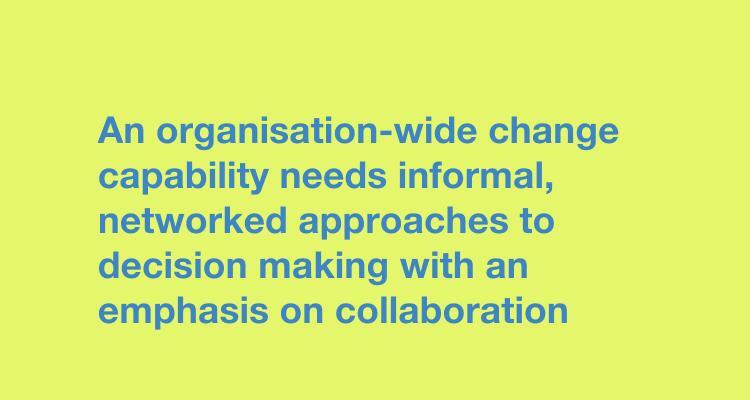 Change as a capability embedded within a learning organisation involves understanding the reasons for the process, questioning these assumptions and considering ways in which they might productively be changed. The work of Lewin, Kotter, Hiatt et al have advanced our understanding of organisational change. We owe them a debt of gratitude for this. Yet their frameworks are beginning to show their age. They are not able to handle the pressure of more frequent fundamental change. For this reason, building creative, learning-based change capabilities is the only realistic way in which business can cope with today’s every-changing and complex world.